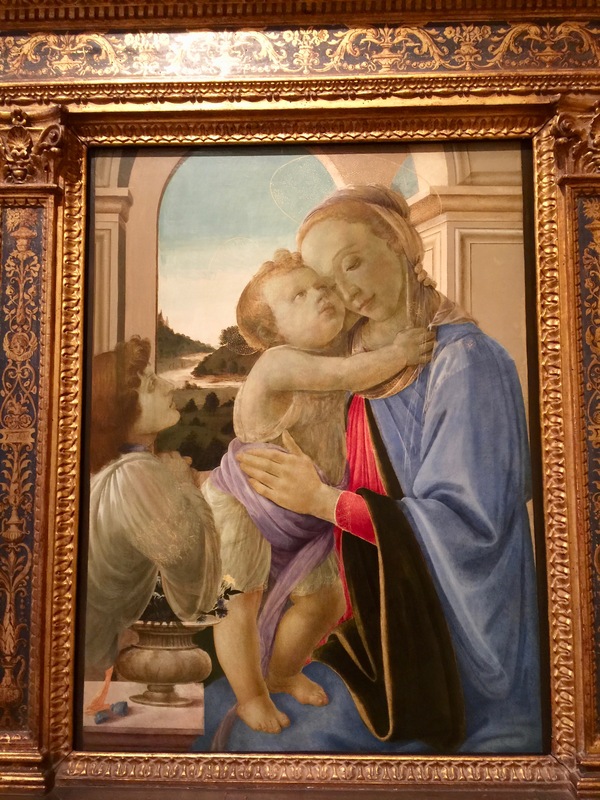 Last week I visited the Norton Simon Museum in Pasadena to look at the Renaissance art in their permanent collection. It’s nice to know that you don’t have to fly all the way to Florence, Italy to see work that was painted by Renaissance masters. They have a lovely collection and these are just a few of my favorites. 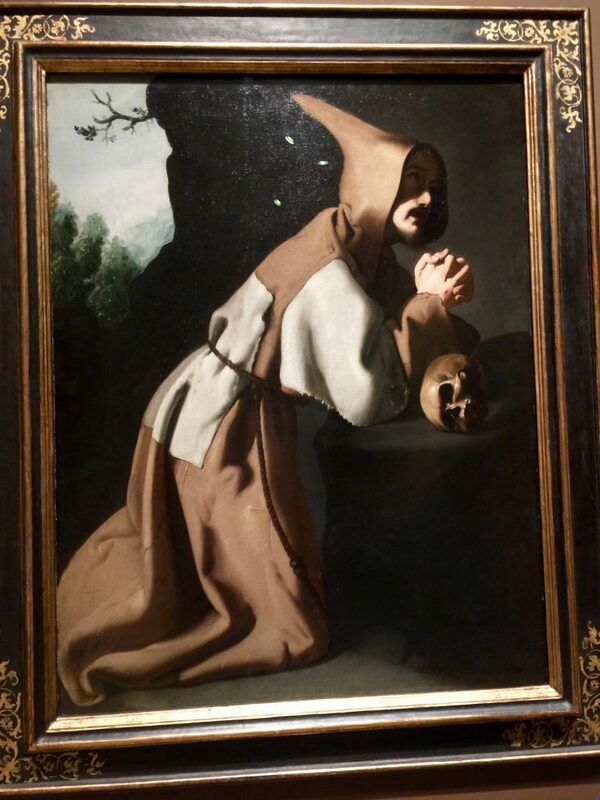 Saint Francis in Prayer by Francisco de Zurburan 1638-39. 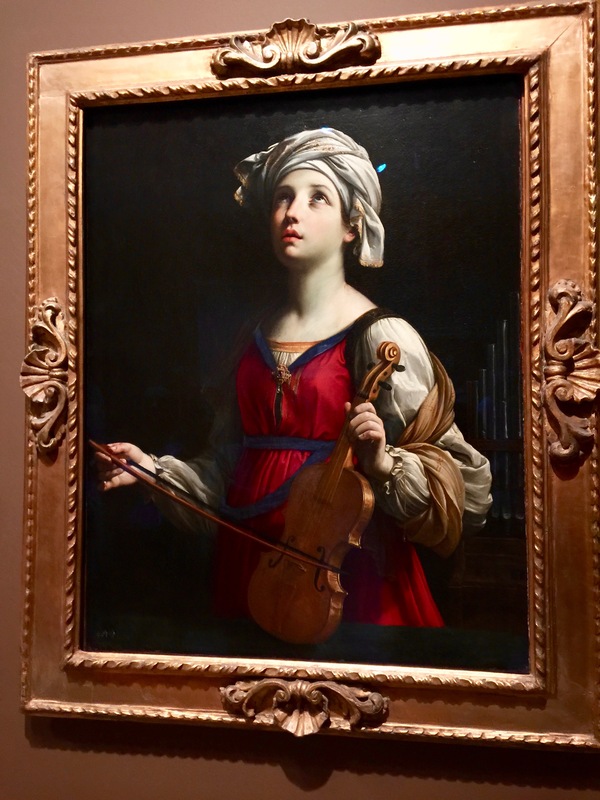 St. Cecilia by Guido Reni, 1606. Madonna and Child with Adoring Angel by Sandro Filipepi (Botticelli), 1468. 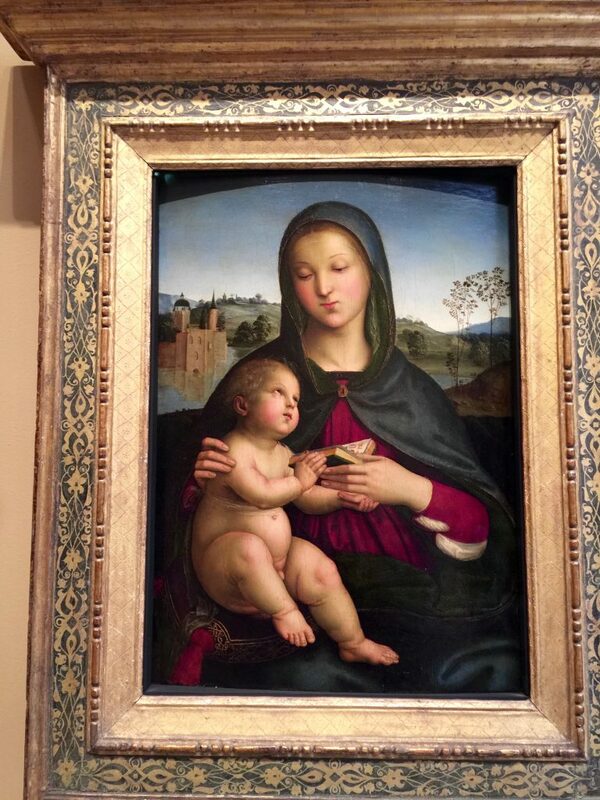 Madonna and Child with Book by Raffaello Sanzio (Raphael), 1502 – 03. 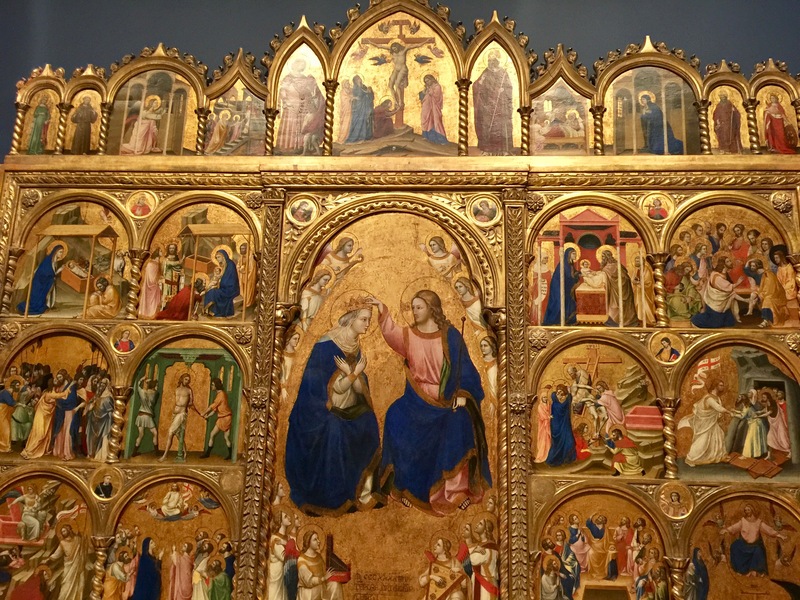 Coronation of the Virgin Altarpiece by Guariento di Arpo, 1344.